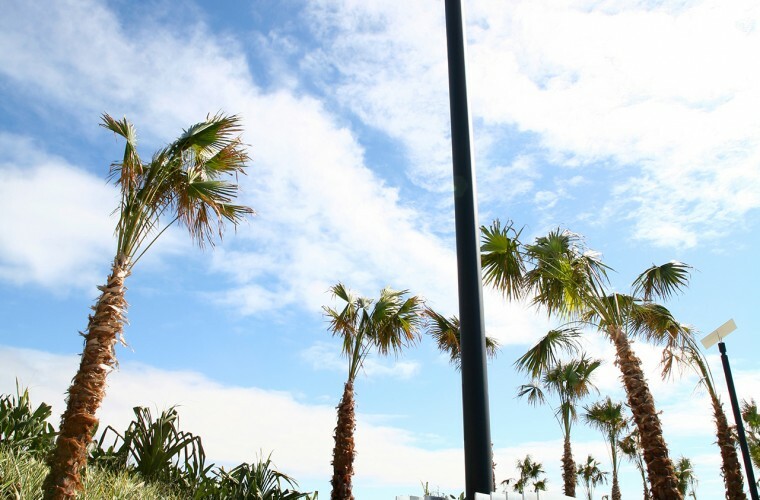 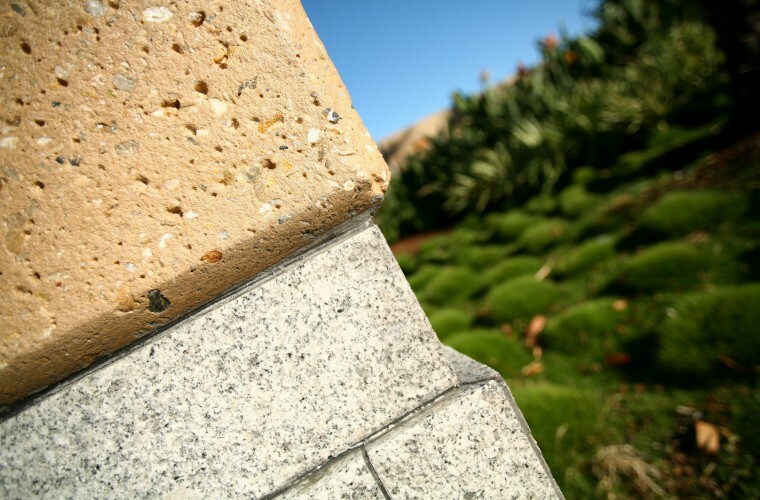 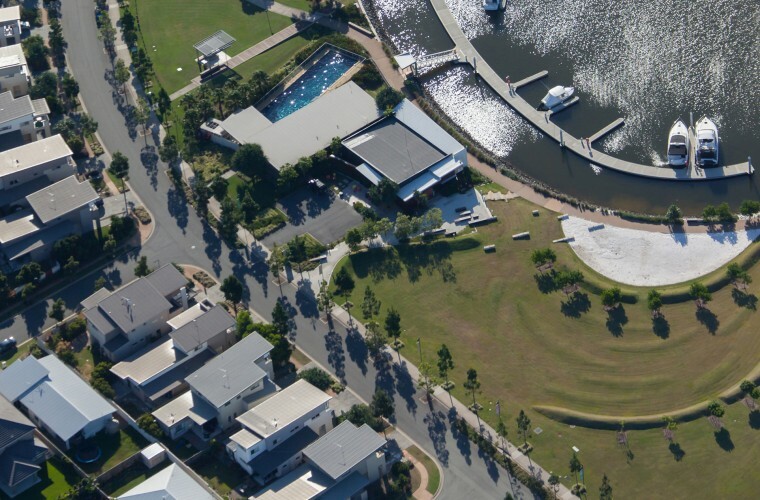 "The iterative approach allowed us to tailor the landscape design to meet our desired objectives and provided great clarity and comfort as to the ultimate result that would be achieved." 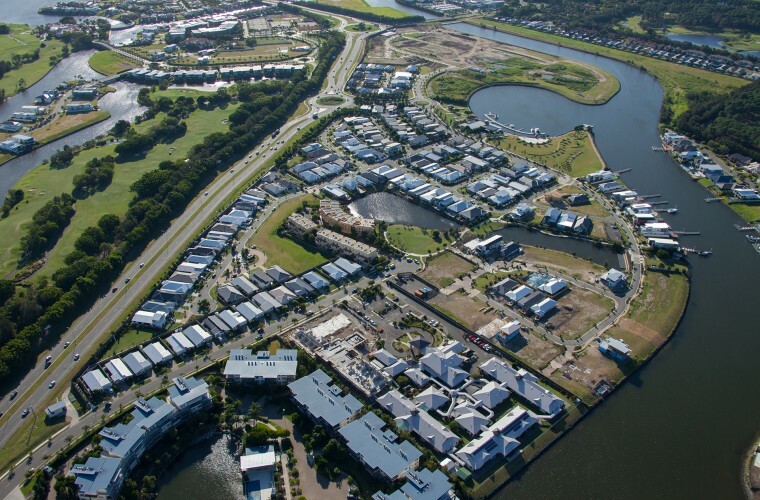 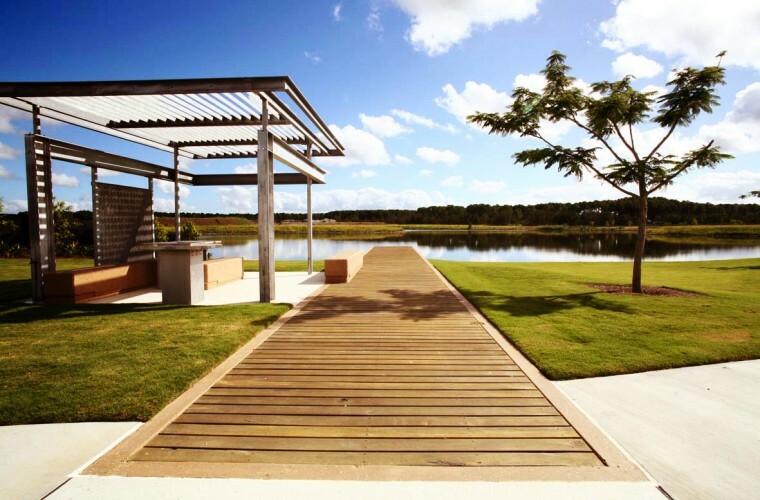 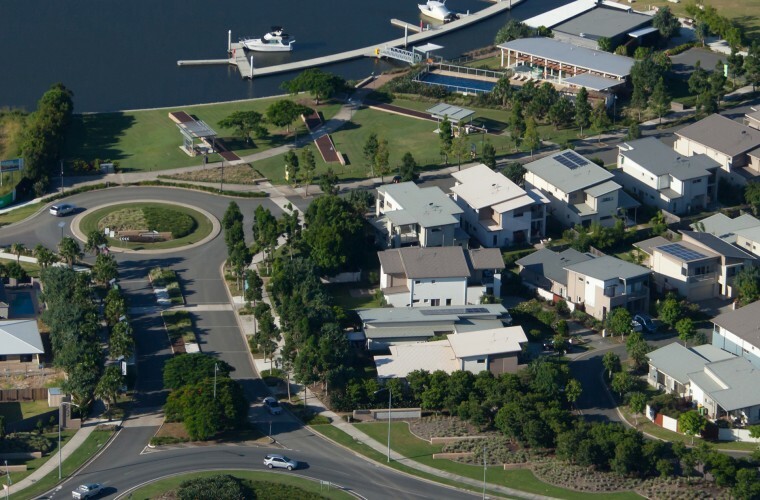 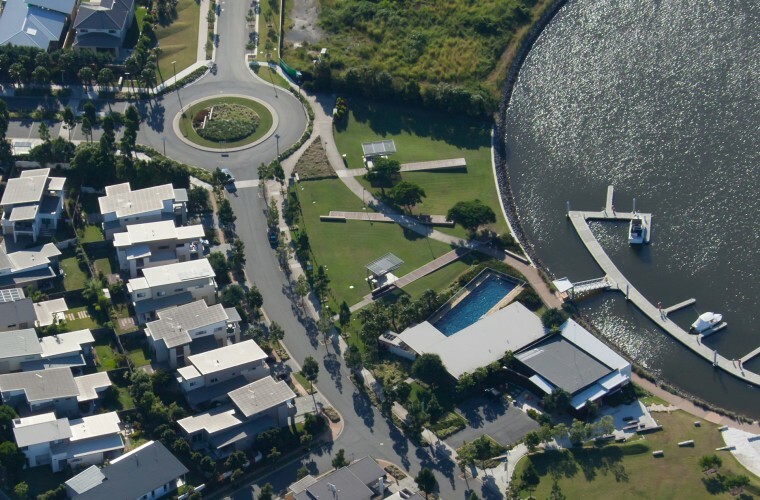 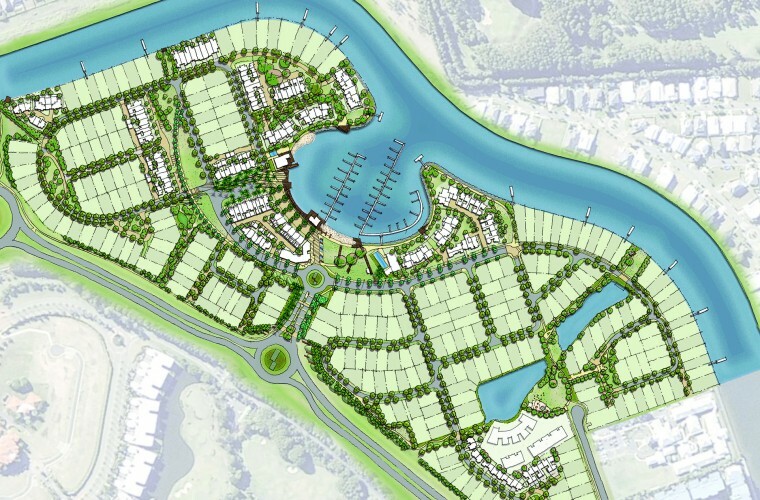 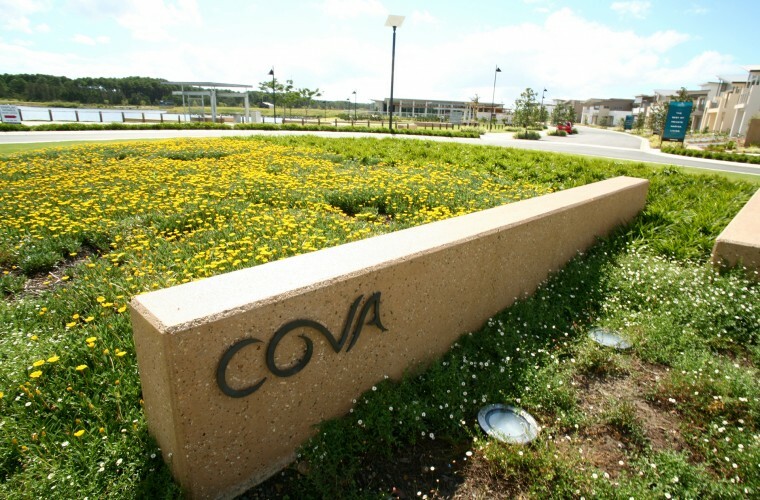 Cova is Australand’s flagship residential community idyllically set on the Hope Island Canal and overlooking a central marina. 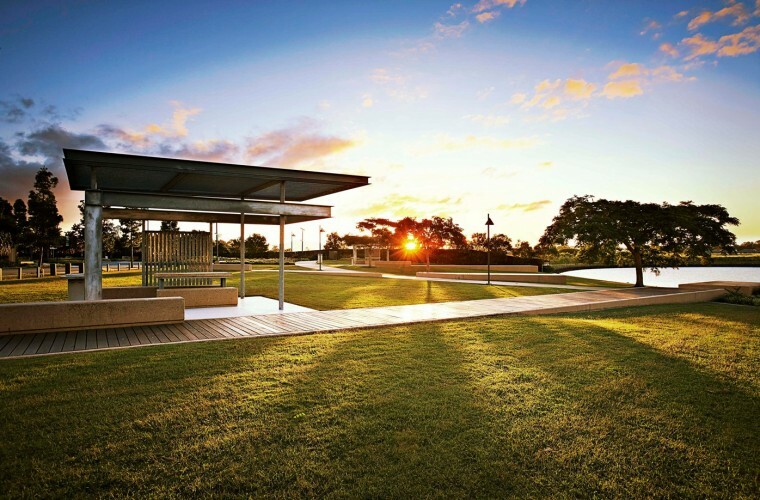 Collaborating with the project team, O2 Landscape Architecture is involved in the master planning, detail design, construction and post-construction services for this 31 hectare site. 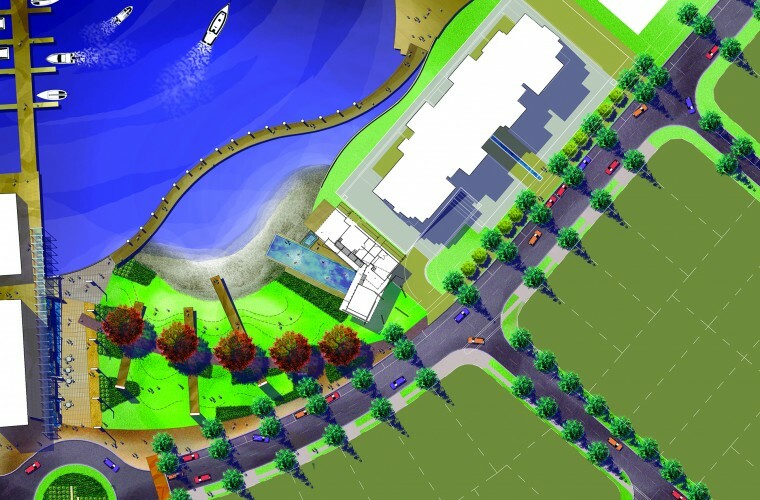 The design of parks, streetscapes, foreshore pathway and visitor centre seeks to interpret and capitalise on the water-side context of the site. 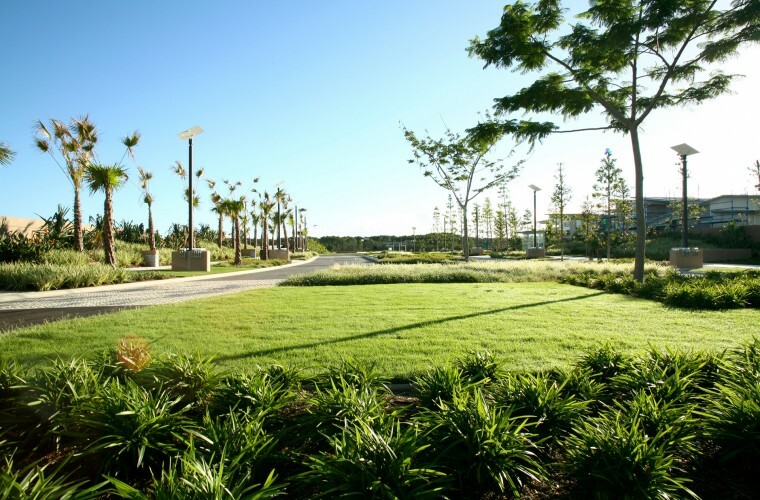 ‘Lighting Masts’, blade walls, Kauri Pines and Cabbage Tree Palms frame and provide rhythm along the entry road while strengthening the view corridor to the marina. 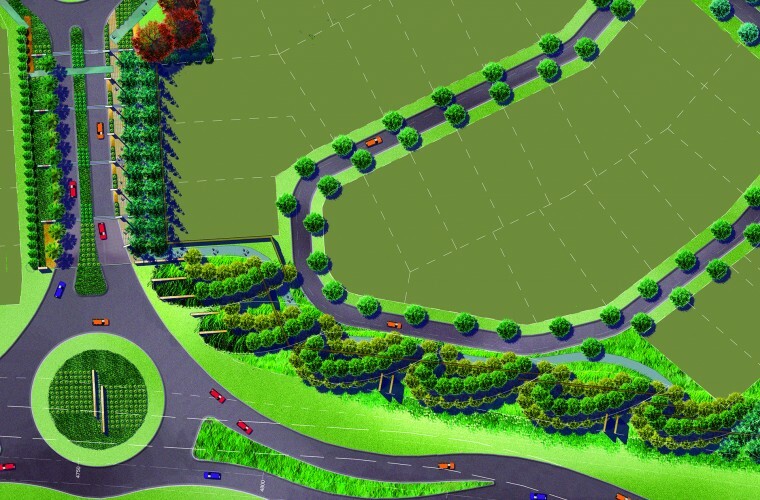 Other key elements of the project include: the ‘jetties’ and associated barbecue structures within the Marina Park; crescent road which integrates a pedestrian/cycle path, carparking and regularly spaced feature pole lights and Kauri Pines to create a sense of rhythm for Cova’s primary boulevard; and, ‘dunal forms’ /buffers along the Hope Island Road frontage.